Today I have a special treat – an interview with Denise Wild, the Editorial Director of BurdaStyle US – my first interview with someone in the big leagues of sewing! The interview is primarily focused around BurdaStyle Magazine’s book BurdaStyle Modern Sewing – Dresses for EveryOccasion, a book based almost entirely around dresses! I have always liked wearing dresses for formal occasions, and I’ve recently been exploring how to make casual dresses work for me now that I’m not spending day in and day out standing in front of a lab bench. So far my favorite wear-anywhere dresses are based off a BurdaStyle pattern (the twist dress I made here and here), so I have high hopes for the dresses in this book. I mean, look at that cover dress! 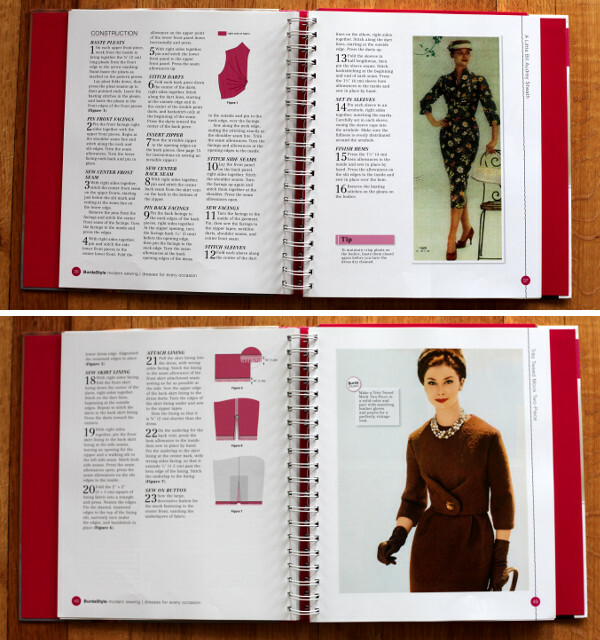 The book itself is set up very similarly to BurdaStyle Modern Sewing: Wardrobe Essentials (reviewed here) in that it’s a compilation of previously published BurdaStyle patterns. But, just like Wardrobe Essentials, it’s a steal at $29.99 if you imagine yourself making several of the patterns included in the book or if you’d rather trace than tape. After an introductory chapter explaining the basics of sewing, the book launches into its patterns, which are organized by theme – vintage, trendy, casual, and formal. If you’d like to see any of the patterns in more detail, I’ve included links to all of the individual patterns throughout my interview below. Okay, on to the interview! Hi Denise, thanks for taking the time for this interview. I want to start by admitting that I’ve been searching for a go-to dress pattern since I started sewing five years ago. I was pretty excited to see so many different dress patterns in BurdaStyle Modern Sewing: Dresses for Every Occasion. There are definitely a few patterns that caught my eye right away. I’m curious – how did the dress patterns get chosen for this book? Our goal was to showcase versatility in style. From vintage and modern to casual and formal, you’ll really find a dress for all tastes and occasions. We chose some of BurdaStyle’s most popular dress patterns, and incorporated many that are easy to sew as well as many that are more advanced. Do these patterns represent a selection of BurdaStyle’s most popular dress patterns? You bet they do! Fans of BurdaStyle will surely see some of their favorite dress patterns, as well as many new ones, too. In the Introduction to the book, you say that dresses are your favorite things to sew. How long have you been sewing, and do you have a favorite dress pattern? 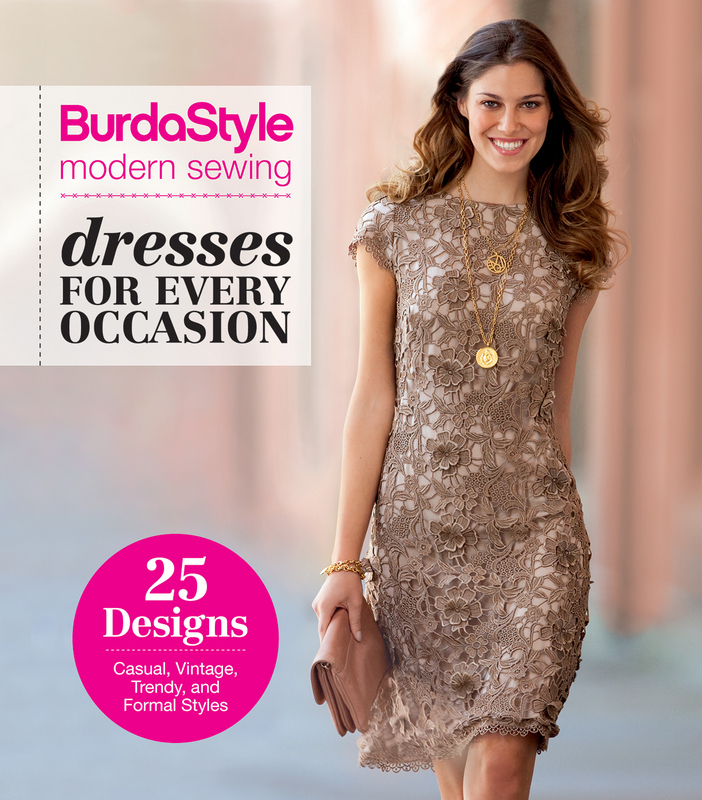 Most of the patterns in BurdaStyle Modern Sewing: Dresses for Every Occasion range from BurdaStyle sizes 36 to 44 (bust sizes 33” to 39.5”), yet the size chart in the book ranges from sizes 32 to 60 (bust sizes 30” to 57.5”). I figured the pattern sizes included in the book likely correspond to the sizes released online, but I know that at least the “A Little Bit Audrey Sheath” is available online up to size 52 (bust size 48”). How are the sizes for the book selected? Has BurdaStyle considered making a book that would include more sizes? You must be a mind-reader! We’ve just wrapped up our third book, and it’s all plus-size patterns. It’s got a great range of outfits suitable for work, play, date nights, you name it! The book will be in bookstores at the end of June, and it’s already on Amazon for pre-order. Following that, we’ve got more great books in store, and our goal is to feature on-trend clothes that will fit every body. 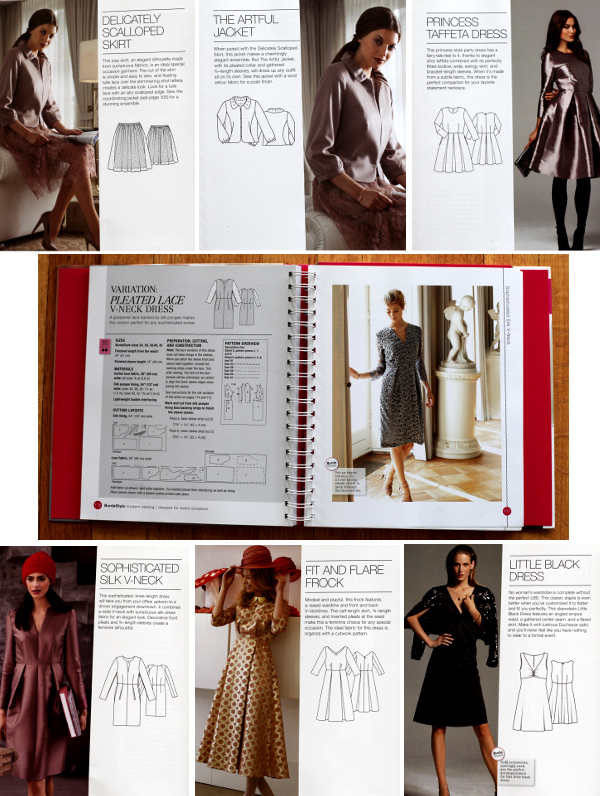 The patterns in BurdaStyle Modern Sewing: Dresses for Every Occasion range in skill level from “quick and easy” to “more challenging, for advanced learners”. The pattern with the highest skill rating is the jacket of the “Beguiling in Blue Jacket and Skirt” set made out of Duchesse satin. What advice would you give to a newer seamstress who wants to tackle this jacket pattern? To a newer seamstress who wants to tackle a difficult pattern, I’d say bite off only what you can chew. I always suggest new sewers pick patterns that are suitable for their skill level before they challenge themselves with fabrics and details that they’ve never sewn before. For someone who wants to specifically sew the “Beguiling in Blue Jacket and Skirt”, I’d say choose an easier fabric to sew (maybe a lightweight cotton twill with a bit of stretch), and I’d suggest sewing the skirt first. Once it’s time for the jacket, take your time, go extra slow, and double-check each instruction before you move forward. Also, consider having your buttonholes sewn by a professional, or practice them at least three or four times on a scrap of your jacket fabric until they’re perfect. There’s nothing worse than ruining a beautiful project with messy buttonholes. I really like how BurdaStyle Modern Sewing: Dresses for Every Occasion pairs the vintage-inspired patterns “A Little Bit Audrey Sheath” and “Très Tweed Mock Two-Piece” with what appear to be actual vintage photos of women wearing similar dresses. When BurdaStyle produces a vintage-inspired pattern, does the inspiration always come from actual vintage dresses in old photos? Yes! BurdaStyle has been creating fashion sewing patterns since 1949 when BurdaStyle magazine was called Burda Moden, so those vintage photos you see are real images styled by BurdaStyle back in the day, and the garments are real, original BurdaStyle patterns. The updated patterns have just been modified slightly from the originals to bring them into a more current fashion sense and to make them better suited for a more current body type. Does BurdaStyle plan to publish more books like BurdaStyle Modern Sewing: Dresses for Every Occasion and BurdaStyle Modern Sewing: Wardrobe Essentials? If so, what can we expect next? How long have you worked as the Editorial Director of BurdaStyle US, and what do you enjoy most about your job? I’ve been working as the Editorial Director of BurdaStyle US since April 2013, and I would say what I enjoy the most is being surrounded by gorgeous patterns every day, and connecting with inspired, passionate sewers every day. We have such a strong and connected group of members (there are currently over 1 million members! ), and I get to engage with them regularly on the website and in the online courses. Also, we publish new BurdaStyle sewing patterns on the website every week, so I love seeing the latest styles and planning my next sewing projects. In a recent issue of the US edition of the BurdaStyle magazine, I noticed an ad for your book Mend & Make Fabulous. Can you tell me a bit about this book and what went in to writing it? Mend & Make Fabulous is sort of a two-part how-to sewing book. First, it’s a mending resource, giving you detailed instructions for the most common garment fixes and repairs including replacing zippers, closing tears, restoring color, and hemming jeans and dress pants. Second, it’s a DIY inspiration with how-to instructions for up-cycling, embellishing, and modifying your existing garments, whether you need to modify them because of a flaw, or whether you want to give your clothes a fresh, new look. To me, the best thing about Mend & Make Fabulous is that someone who has never sewn before can pick it up and easily understand what to do thanks to the very clear, precise instructions as well as the detailed, step-by-step photographs. And of course, it’s a great go-to resource for those who have been sewing for years, who just need that quick reference for how to do a particular repair. 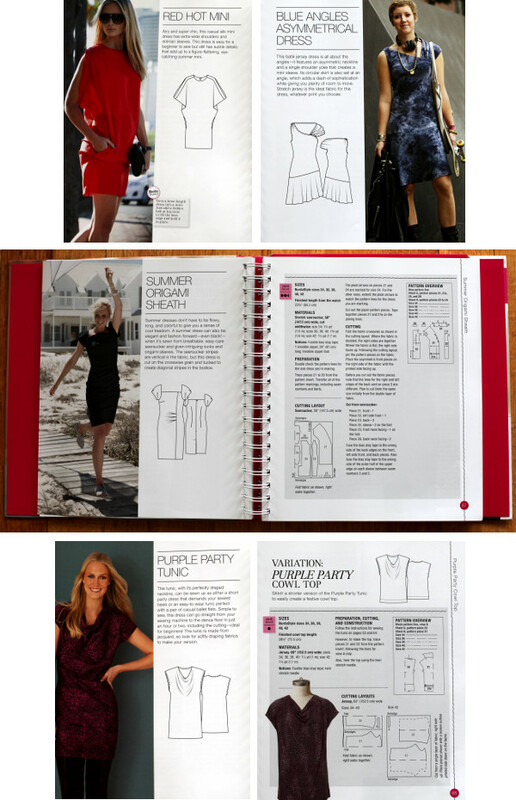 The book is filled with gorgeous images, great tips, and useful techniques that anyone who values the life of their clothes will surely use. I also know that you created the fashion sewing site LoveSewing.com. In case some of my readers are not familiar with the site, how would you describe it? LoveSewing.com is a website I created out of my passion for sewing. It’s got loads of fashion and sewing articles including sewing tutorials and how-tos as well as fashion trends and inspirations. The website is meant to showcase sewing in a fresh, new light, and bridge the gap between sewing and fashion. I’m currently learning how to juggle life as a new mom with all of my other responsibilities. Fun things like sewing often fall to the bottom of the list, which mean I sometimes go weeks without turning on my sewing machine. How do you juggle your Editorial Director job at BurdaStyle US with writing books, contributing to your site LoveSewing.com, sewing for yourself, etc.? Ah, the question of the century! Let’s see… Well, fortunately, because my job encompasses what I love to do, I work almost all the time and it doesn’t bother me. As far as juggling things, I use schedules and lists and apps to keep me on track. I love the GoTasks app, which syncs my to-do list on my phone with my Google Calendar, and I use the Simplenote app on my phone (and the corresponding Notational Velocity software on my computers) to keep notes with me on every device wherever I go. I make a habit of sewing once a week (Sewing Sunday! ), even if it’s just a hem or repair, and I schedule me-time as much as I can, whether it’s a spa date with a friend, a run through the mall, or a trashy-TV marathon. I guess I just try to get as much done whenever and wherever I can, and then I squeeze in personal as often as possible. What would you like to be doing in five years time? Sewing, of course! In the sun on a beach. Okay, that sounds like a disaster waiting to happen. But maybe I can make it work by hosting a beach-side sewing retreat. Yes! That’s what I would like to be doing in five years!! 🙂 Who’s joining me?! Interweave/F+W sent me BurdaStyle Modern Sewing – Dresses for Every Occasion for review. All opinions are my own. Great interview – I’ve never sewn a Burda pattern but your interview has raised my curiosity level . 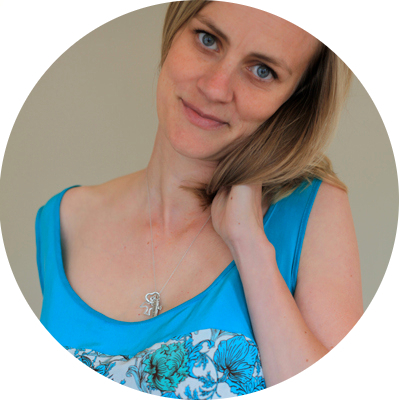 Thanks for asking the questions that I would have asked & a whole new blog/website to explore !